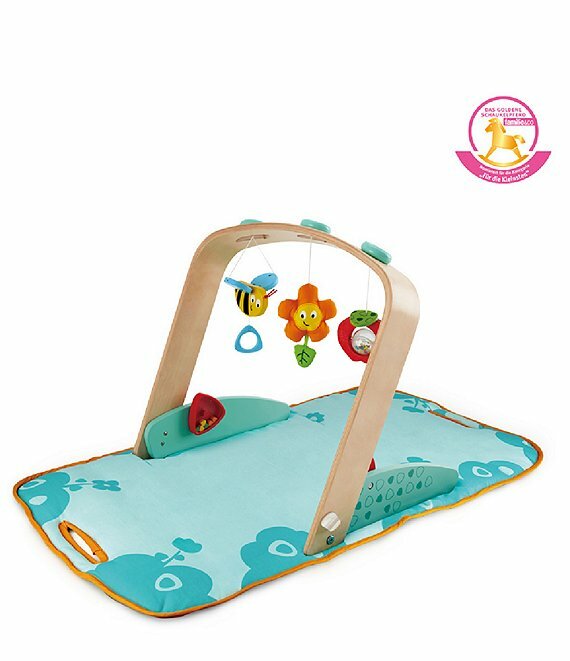 Keep baby entertained on this soft mat no matter where you go. This portable baby gym features a hanging apple, a bee with fluttering wings, and a flower that will delight little hands and eyes and it doubles as a stylish tote bag! Can be easily zipped up for storage, creating a stylish tote bag for carrying the gym itself as well as baby's favorite blanket, toys and rattles, etc.